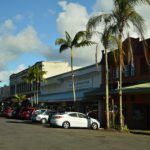 The County of Hawaii Office of the Corporation Counsel in Hilo, Hawaii, was presented with a Run Smarter Award for the government sector. The Office of the Corporation Counsel serves as the legal representative of all the county’s 2,300 officers and employees. By helping staff organize case files, search through past legal opinions and quickly prepare exhibits for trials, Laserfiche enables the office to provide clients with faster, more comprehensive service. Their office vision statement is, “We are the answer,” and Laserfiche helps the office further this vision, because staff can now provide clients with an organized history of all the documents associated with any case, at any time. The City of Anaheim Public Utilities Department in Anaheim, California, was also presented with a Run Smarter Award for the government sector. The department’s old filing system needed to be modernized to streamline access to information. Using Laserfiche, the department digitized and indexed hundreds of boxes of paper files, each containing blueprints, work orders, memos and photographs. Today, the city’s utility workers and civil engineers can quickly locate and access records directly from their computer screens. Next on the slate is an enterprise-wide electronic records management program to route construction drawings upon completion, providing staff with accurate, real-time updates to critical information. Geneos Wealth Management in Englewood, Colorado, was honored with the financial services sector Run Smarter Award. As a leading broker-dealer with more than 60 branch offices, Geneos offers estate planning, investment advice, time management systems and financial planning. 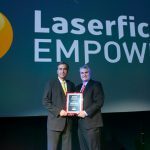 Using Laserfiche, the firm has eliminated faxing altogether and has greatly reduced printing and mailing costs, as well as audit preparation time. (In the past, preparing for audits required weeks of staff time.) Geneos also uses Laserfiche to enable straight-through processing of client forms, to ensure compliance and to integrate its document repository with other line-of-business applications. Central Oregon Radiology Associates in Bend, Oregon, was presented with the Run Smarter Award for the healthcare sector. With the goal of eliminating manual work processes, Central Oregon Radiology Associates developed an ambitious plan to digitize nearly every aspect of its operations. The plan included three key components: a picture archiving and communication system, a radiology information system, and a digital document management system. With the implementation of Laserfiche, the organization now offers faster response to patient enquiries and streamlined collection processes. The organization’s next step is to integrate Laserfiche with its radiology software, which will lead to further productivity gains and even greater time savings. The University of Utah Department of Financial Aid and Scholarships in Salt Lake City, Utah, received a Run Smarter Award for the education sector. Each day, the department receives a number of documents—from aid applications, scholarship acceptance letters and promissory notes to copies of students’ birth certificates, passports and tax returns. Prior to installing Laserfiche, staff spent hours sorting, routing and filing these forms—and service suffered as a result. The department now stores these documents in the secure Laserfiche repository, and the Laserfiche Workflow™ module automatically routes the documents among staff members, saving time and leading to quicker disbursement of funds to students. For the commercial sector, Brown Metals Company in Rancho Cucamonga, California, was presented with the Run Smarter Award. Brown Metals boasts the largest inventory of thin-gauge stainless steel coil on the West Coast. Thanks to an efficient supply chain and a highly-skilled workforce, Brown Metals can quickly process and ship orders of any size. But as the company grew, keeping track of order-related paperwork became increasingly challenging—and had an adverse impact on customer service. Using Laserfiche Quick Fields™, the company now captures and indexes order-related documents in seconds, leading to faster, more efficient processes that shorten delivery times and promote rapid responses to customer questions.